If you add or remove a field, this change applies to all users. 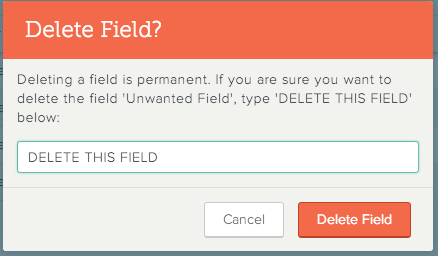 If you delete a field, an alert appears asking you to confirm you want to do this. 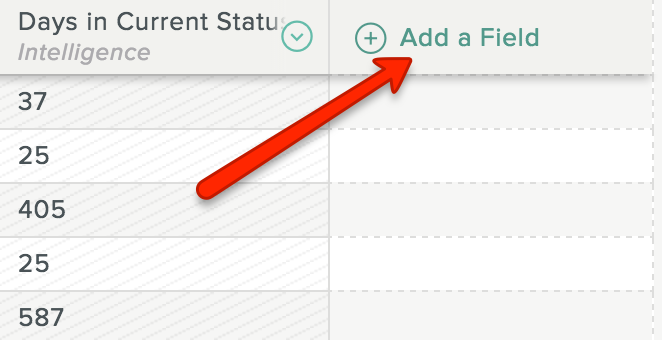 To add a field to the left or right of any other field in the Grid, click the arrow to the right of the existing field header and select either Add Field to Left or Add Field to Right from the drop-down menu that appears. 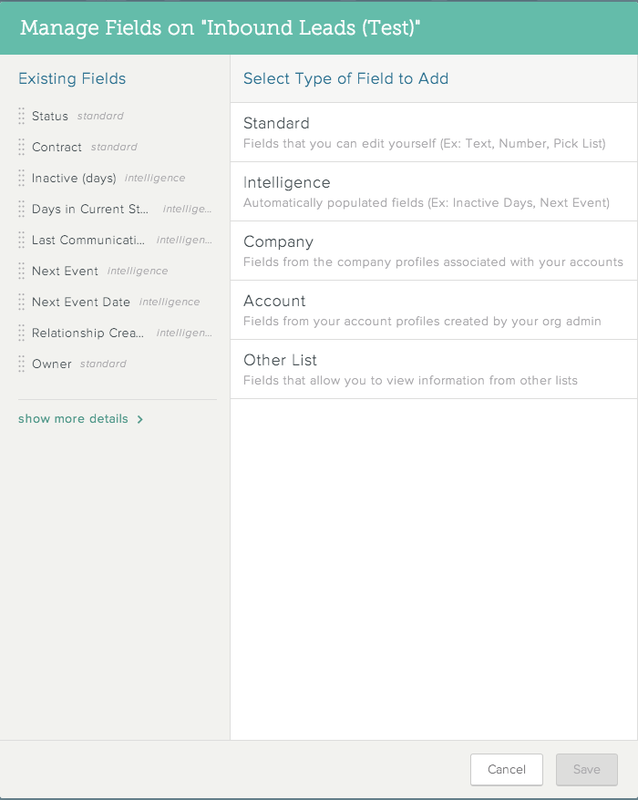 Choose whether to create a standard, Intelligence, company, account, or other List field. Note: Learn more about the special types of fields you can use here. Click the arrow to the right of the field header you want to delete. On the confirmation screen, enter DELETE THIS FIELD. Note: Deleting a field permanently erases all the data in it. 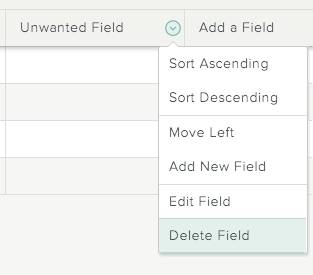 Note: You can also delete a field from the Add a Field dialog. With the dialog open, hover over any field name, and then click .